1. 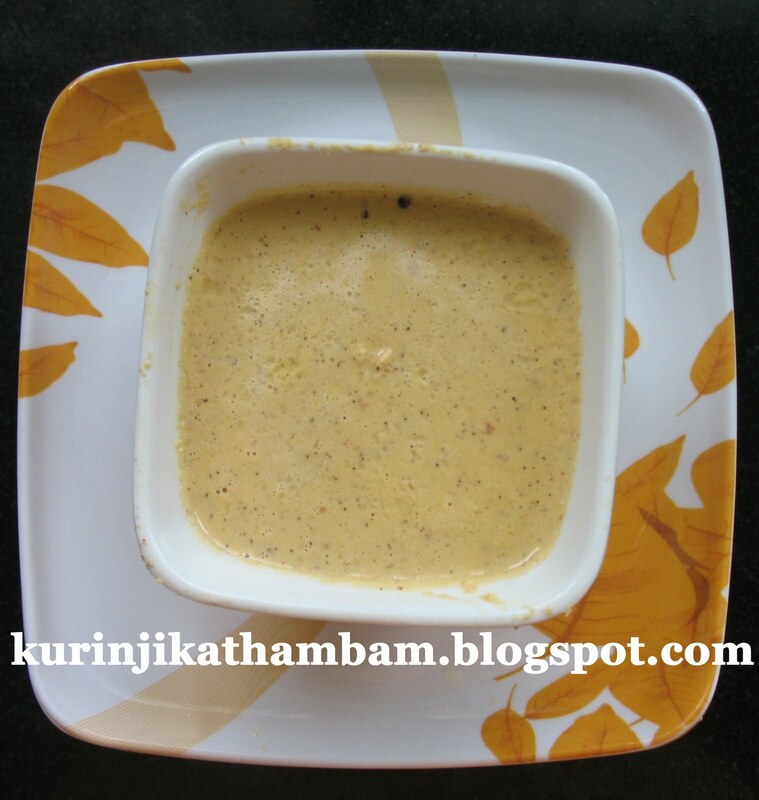 Grind the grated coconut, Roasted split gram, red Chillies, garlic, tamarind and salt in a blender with little water. 2. After the above is half grounded, Add onion and a spring of curry leaves. 3. Grind the mix into very fine paste. 4. Heat the oil in the pan, add mustard seeds, urad dal and curry leaves, fry for a minute. 5. Pour this tempering over the chutney. 6. Mix well and add enough water.